TOKYO (Reuters) – Nissan Motor Co Ltd will announce on Wednesday a large-scale cut to its earnings outlook for the fiscal year that ended in March, TV Tokyo reported, adding to the company’s woes as it grapples with the arrest of former Chairman Carlos Ghosn. The Japanese automaker will slash its estimates because of weak sales in North America and China, TV Tokyo’s flagship programme World Business Satellite (WBS) reported late on Tuesday. Nissan’s board approved the move at a meeting on Tuesday, WBS said, citing unidentified sources. A Nissan spokesman declined to comment when contacted by Reuters. The maker of the Rogue sport utility vehicle and Altima sedan already cut its outlook just two months ago, predicting its lowest operating profit in six years. The news adds to a growing list of unwelcome headlines for Nissan, with Ghosn a constant source of media attention since his initial arrest in November on suspicion of financial misconduct. The jailed former boss of both Nissan and alliance partner Renault SA could learn as early as Wednesday whether he will be released on bail for a second time, after he was indicted for a fourth time this week. Even before the onset of the Ghosn saga, Nissan had been dogged by revelations of improper vehicle inspections that led to the recall of more than 1 million vehicles in Japan since late 2017. 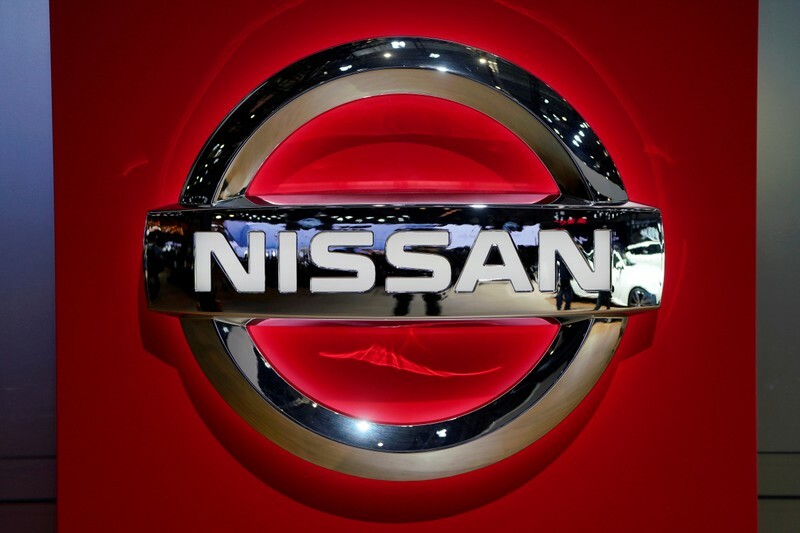 For the just-ended fiscal year, Nissan expects operating profit of 450 billion yen ($4 billion) on revenue of 11.6 trillion yen, according to its revised forecasts issued in February. Nissan is scheduled to report financial results on May 14. As of 0038 GMT Nissan shares were down 2.6 percent, versus a 0.2 percent gain in the broader Tokyo market. Evangelical Pastor Ramón Rigal and his wife Ayda Expósito were both sentenced to prison after engaging in and promoting homeschooling in the communist country of Cuba. Rigal and Expósito, who are from Guatemala, were detained last week over their refusal to send their children to government-run schools. 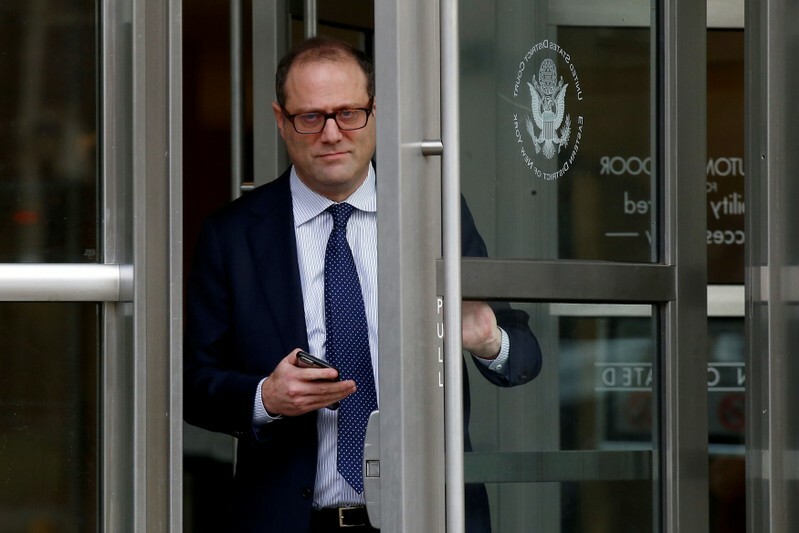 On Monday, the judge presiding over their cases found them guilty of “illicit assembly and incitement to delinquency” for helping other families interested in homeschooling. Cuban state security wouldn’t let friends or family attend the sentencing and they got violent with attorney and journalist Roberto de Jesús Quiñones Haces. “They punched me in the mouth, my shirt is bloody, and I am detained here now, I don’t know why,” Quiñones told a Cuban reporter. Before the couple was arrested, they were planning on leaving the country for a nation that respects their right to freely educate their children. Watch Rigal explain his situation in the video below that was released days before his arrest. The case took place amid rising tension in Cuba after the country adopted a new constitution earlier this year that was met with opposition from religious leaders who say it weakens protections for freedom of religion. PRISTINA (Reuters) – Ten women repatriated to Kosovo from Syria at the weekend have been placed under house arrest on charges of participating in terrorist groups, a court said on Tuesday. Seattle now has two first-round picks — its own at No. 21 and the Chiefs’ at No. 29. 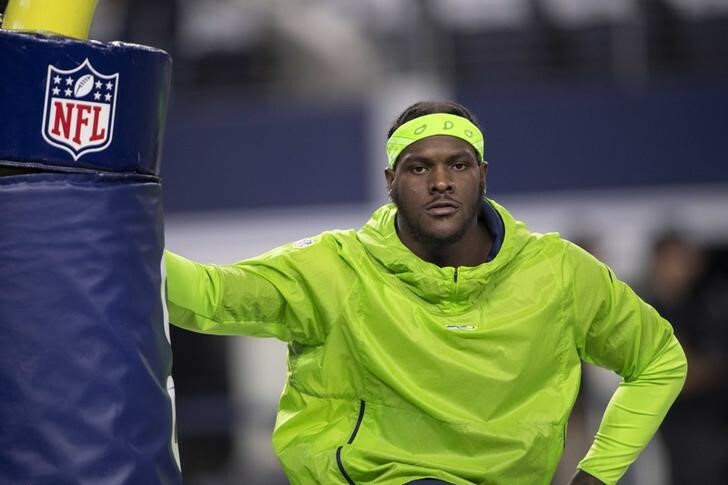 “They had other plans,” Clark told ESPN of the Seahawks’ position. “It got to a point where Seattle had used me for everything I had for them already. At the end of the day it’s a business. He also told ESPN it was understood that any trade would require the acquiring team to sign him to an extension topping the one Dallas Cowboys defensive end DeMarcus Lawrence (five years, $105 million, $65 million guaranteed), signed earlier this month. Clark’s annual average now trails only Chicago’s Khalil Mack ($23.5 million) among defensive ends. The Chiefs traded their own franchise-tagged edge rusher, Dee Ford, to the San Francisco 49ers earlier this offseason, receiving a 2020 second-round pick in return. Ford, deemed an imperfect fit as Kansas City switches from a 3-4 defense to a 4-3 under new coordinator Steve Spagnuolo, signed a five-year, $85.5 million extension with the 49ers after the trade. KAMPALA (Reuters) – A Ugandan pop singer and lawmaker seeking to challenge veteran President Yoweri Museveni at the next election said on Tuesday he had been placed under house arrest, as the U.S. government criticized what it called authorities’ “heavy-handed” use of force against citizens. 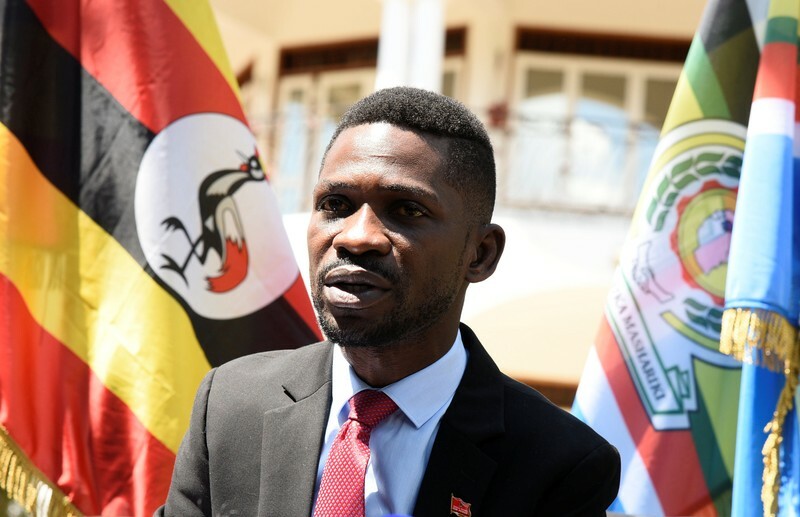 Police and military personnel used teargas and water cannon on Monday to disperse a large group of Bobi Wine’s supporters as they gathered for a concert at a lakeside beach resort, footage from local NTV showed. Before the concert, Wine, whose real name is Robert Kyagulanyi, was removed by police from a vehicle near the beach, the footage showed. Wine said he was taken to his home in a northern suburb of the capital, Kampala. In a series of tweets on Tuesday the singer said he was blocked from leaving his home by security personnel, who had told him he was under house arrest. “Police and the military have been deployed at my residence since yesterday, after the violent arrest … They have surrounded my fence and installed barricades on all roads leading to my home,” Wine tweeted. Police spokesman Fred Enanga did not immediately respond to calls from Reuters seeking comment about the alleged house arrest. Museveni has ruled the East African country since 1986 and is expected to stand again in 2021 after a court last week cleared the way for him to seek re-election. The supreme court ruling threw out a legal challenge to 2017 constitutional amendments that removed a 75-year age limit clause, which would have made Museveni, 74, ineligible to stand again. Wine, 37, has built support since becoming a member of parliament two years ago and has said he intends to run for president. Many young Ugandans have been drawn to him by his criticism of Museveni, often delivered in his lyrics. In recent months authorities have repeatedly canceled his music shows, citing a range of reasons including alleged failure to comply with public order management laws. Wine and his supporters accuse security personnel of cancelling his shows as retaliation for his political ambitions. The U.S. embassy in Kampala criticized the blocking of Wine’s music shows and of access to radio talk shows by other opposition politicians. 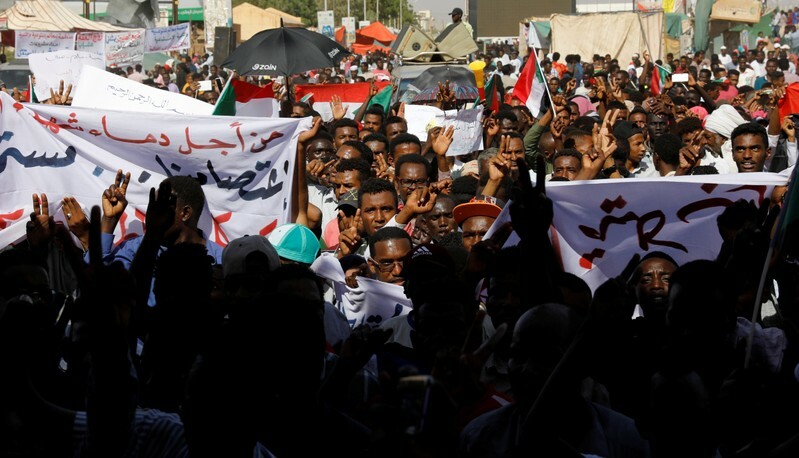 “We join the many Ugandans asking why their government has recently blocked musical concerts and radio talk shows, disrupted peaceful demonstrations and rallies, and deployed heavy-handed security forces against peaceful citizens,” the embassy said in a statement on Tuesday. The government has previously accused opposition politicians of using talk radio shows to encourage people to commit violence. 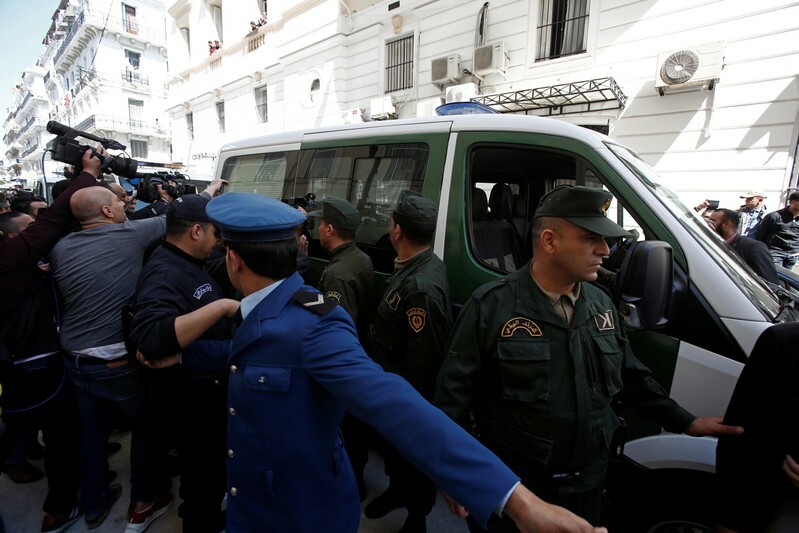 ALGIERS (Reuters) – Algeria’s army chief said on Tuesday he welcomed an anti-graft drive against figures close to former President Abdelaziz Bouteflika, state TV reported, a day after the authorities announced the arrest of five business tycoons. On Monday state television reported the arrest of billionaire Issad Rebrab, chairman of the family-owned Cevital diversified conglomerate with big interests in sugar refining, ranked by Forbes as Algeria’s richest man. Four brothers from the wealthy Kouninef family were also arrested.